Mississippi Gulf Coast I’m HOME! I’m a military wife, and as such we don’t often get to call anywhere home for long, but here we are! As a military spouse, and former military child, I’ve been afforded with numerous opportunities to work with many different extraordinary communities. My experience, both in the military and civilian sectors, also gives me a unique perspective with regards to anticipating, and relating to the relocation needs of your family! 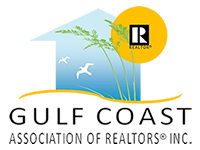 So whether you are coming to this beautiful Gulf Coast area and need to buy, or you’re needing to move and sell your home, I’m here for you! I have worked in the Real Estate industry since 2004. I first began with training Real Estate agents, across the country, in how to market via the internet, maintain a database of prospects, and various negotiating tools to assist on taking a clients to the final stages of their transactions. In 2009 I transitioned from national marketing to Administrative Assistant for some of the Top Producing agents in North Carolina. I obtained my North Carolina Real Estate Broker license in 2010, and have also completed course work at UNCW, in the Medical Billing and Coding field. I have obtained my National Billing and Coding Certification. I served as the Executive Board Secretary for the Jacksonville Area Soccer Association from 2008-2014, and I have coached various levels, and ages, of soccer from 1999 to 2013. As well, I have volunteered with the Jacksonville, NC local Habitat for Humanity chapter. Prior to my career in Real Estate, I held various management positions in the Retail industry, between 1987-2003.